No, it’s not a new group of Marvel superheroes…it’s an Australian network of female entrepreneurs that has recently come to Canberra. As four young women, all heading up companies of their own, Sarah Riegelhuth, Sheryl Thai, Liz Atkinson and Marie Cruz struggled to find events where like-minded females in a similar age group could come together to share, support, encourage and inspire each other. 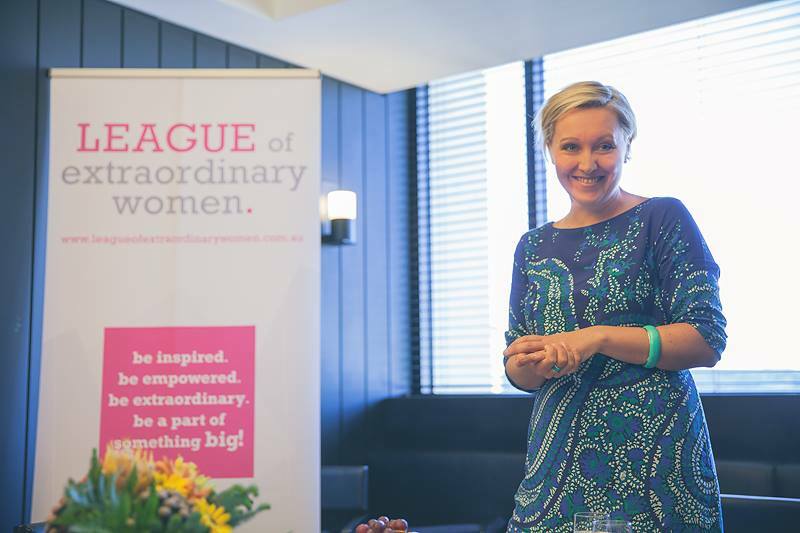 A chat over coffee and cupcakes was all that was needed to launch the League of Extraordinary Women – a movement that has been described as one of the ‘most exciting and inspiring groups for young female entrepreneurs in Australia’. The first event was held in Melbourne in September 2011, and The League has now expanded to Sydney, Brisbane, Adelaide and Canberra. Its debut here came in the form of Life and Wellness Coach and Facilitator, Deanne Brennan. We spent five minutes with Dee to find out more about The League. So, what is the League all about? Why did you want to introduce it to Canberra? I was a part of The League in Melbourne for two years and loved every event I went to. I felt like I was meeting a really supportive bunch friends each month – everyone just naturally wants to help you. The women I have met are incredibly inspiring – I really love what the League is doing and want to continue to be a part of it’s growth. I get a lot of energy from being surrounded by passionate women; I enjoy encouraging others, learning and when I’m having the odd flat day, these women inspire me with their own personal stories of success. What makes it different from other networking groups? Our breakfasts have a very relaxed feel. Speakers are encouraged to tell their real (and raw) personal stories of business and personal growth. There’s lots of time for group discussion. Women leave feeling inspired to start their day and progress with their business, and beautiful and long lasting friends have been formed. One of gratitude. The women have been incredibly grateful I have brought it to Canberra. They are also excited about having an avenue to learn, stay inspired on their business path and meet some incredible women. Our Breakfast Series events were started by Sarah Riegelhuth with the aim to bring together a group of young female business owners in a more casual setting. Each breakfast has a motivated and dynamic young female guest speaker to share their lessons, knowledge and story with the group. As the experience is less formal, attendees will often come on their own and capitalise on the opportunity to meet new people, make new connections and also be inspired by the guest speaker. All Breakfast Series are finished by 9am, to ensure any women can attend and not have this affect the opening hours of their business. What events do you have lined up over the next few months? We have breakfast once a month, with our next event coming up at 7:30am this Tuesday 4 February (buy tickets here). Sarah Riegelhuth, Co-Founder of the League, will be teaching us the process she goes through each year to ensure strong growth and business success. We’ll learn how goal setting has pushed her business, Wealth Enhancers from $0 to over $2 million dollars in revenue in four years. I love this woman. We also have four working lunches throughout the year. The first focusses on Goal Setting and Strategy First one and is set for Friday 28 March. What do you hope that women get out of being part of the League? Feel a part of something BIG. Inspired, Empowered. Want to know more? Visit the League of Extraordinary Women website, email Dee at crusaderact@leagueofextraordinarywomen.com.au or buy your ticket to Tuesday’s breakfast! Amanda Whitley is the editor of HerCanberra. In her ‘spare time’, she works as a PR consultant, instructs zumba, and wrangles two gorgeous little girls. She’s done everything from present the tv news to operate a stop and go sign and is passionate about connecting Canberra women. View all Amanda Whitley posts.